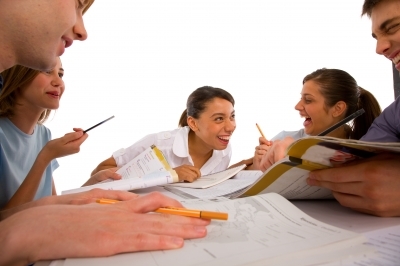 MCAT preparation usually takes 3 to 6 months and some students prefer to study on their own while others prefer the support of an MCAT study group. The benefits of a study group include the opportunity to share or learn new ideas, cover more material, lessen the chance of cramming and thus minimize test anxiety, and receive support. 1. To be efficient, choose at most six committed group members. 2. For a good MCAT study group, look for others who can balance out the background of the different members. If everyone you study with has the same arts or science academic background then it's easy to miss out on creative ideas, approaches or content. 3. Assign a facilitator every week to give everyone a chance to be responsible for the group. The facilitator ensures that everybody is prepared, the MCAT study schedule is followed and non-study related topics are discussed only after the session. 4. Study discussions can be limited to 2-3 hours. To ensure that the group covers all the key MCAT topics, check out this guide: MCAT Topics List. 5. Come to the study session prepared; ask questions, share what you know, respect your peer’s reasoning and do not interrupt whoever is making a presentation. Open communication and good interpersonal skills are essential in medical school and in your future medical practice. 6. Look out for good MCAT study techniques. Your peers may have study habits that you can adapt. And of course, they can even learn from you. 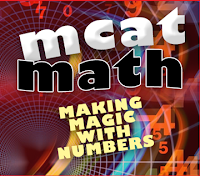 Do you know that you can make ‘magic’ with numbers on the MCAT? First of all, know that your power comes from being efficient and by using pattern recognition. 1. For example, even with no context whatsoever, if you see 44.8 l or 11.2 l on the MCAT, your Pavlovian response should be: "I'm dealing with 2 moles (or 1/2 a mole) of a gas at STP." Without reading the question, you recognize a multiple of 22.4 l (the molar volume, Avogadro's Law). Anything times 10 to the power of 23, instantly brings to mind Avogadro's number of particles (a multiple or fraction thereof). It does not mean that 100% of the time the answer will depend on your Pavlovian response! We are looking at trends, likelihoods that occur rather often for those minority of questions that are number based. Have you seen these numbers on some AAMC exams: 1.44, 1.69? Do they ring a bell? You should have memorized all squares between 1 and 15. You likely have 1 to 10 stone cold! 11 squared is 121, 12 -> 144, 13 -> 169, 14 -> 196, 15 -> 225. They choose their numbers carefully. The moment you see 1.44 on the MCAT, there is a high likelihood that you would be required to take the square root which gives 1.2. Pattern recognition. 2. A little blast from the past: pi is 3.14, root 2 is 1.4, root 3 is 1.7. Do not be surprised if you need to calculate the perimeter (2 pi r) or area (pi r squared) of a circle. Be comfortable estimating the root of anything! Root 17? Well, the answer must be between 4 and 5 but closer to 4. Check the answers and do not calculate anything if there is only one answer that is between 4 and 4.5. 3. Avoid decimals until you have no choice. Fractions will usually permit you to be more efficient. For huge and tiny numbers, you need to be comfortable with scientific notation. If you can hang on to variables for as long as possible, that's even better. You may be surprised how many times mass m ends up being irrelevant as it happily cancels out! Feel free to share the above information to other students. Preparation for the new MCAT would require integration. You will be required to have a solid grasp of fundamental definitions and concepts and know how these concepts come together in the life processes of living organisms. Then, you must be able to integrate one’s knowledge and use it to reason. 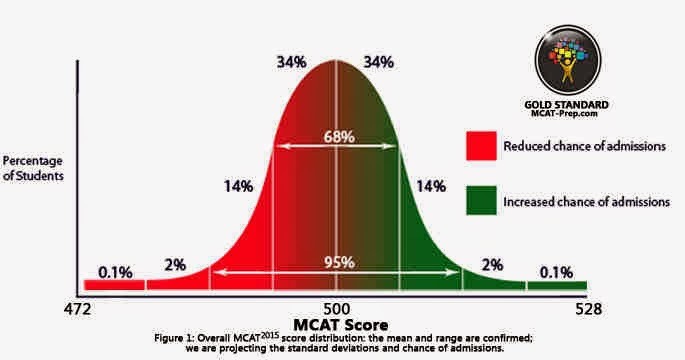 Thus, you will definitely need quality prep materials and a disciplined study schedule (3-6 hours a day for 3-6 months) to get a high MCAT score and to be accepted to medical school. However, there is also another important part of your review: your MCAT personal notes. Your notes will ensure that you avoid the mistake of overstudying or understudying. With note taking, you can maximize the benefits of your content review, practice problems and full-length exams. A chapter review would result in one to two pages of notes. Every line you read, ask yourself: do I know this already? is this related to something else I read? is this really relevant to the MCAT? Your notes shall focus on the most relevant and new information. For example, if you have noticed a derivation of the Ideal Gas Equation, include that in your notes if it was something new for you. Also, focus on information that you want to retain as well as keywords and concepts. Taking notes after taking a full-length MCAT practice test is also important. These notes will make sure that you do not repeat the same mistake. Then, review your notes before taking another test. Read your notes two to three times per week and then everyday in the weeks leading up to the exam. Research has shown that reading your notes every day improves information recall. These notes will be your most precious review tool in the days leading up to the real MCAT. Good luck! Getting into medical school may not be an easy process, but many students have succeeded and you can, too. 1. Set specific, measurable, attainable, realistic and timely goals. Big goals are overwhelming, but taking baby steps along the way makes them attainable. Be open-minded especially when results are not what you have expected. You can always try new approaches. 3. Understand the admission process. Read about the medical schools that interest you. Know the importance that they place on your GPA, MCAT results, letters of reference, autobiographical materials or interviews. If you have clarifications, write to them. 4. For MCAT preparation, start early and study regularly. With sufficient time to study, you will be able to craft a study schedule that is effective. In addition, some premed courses in college will be able to help in your early preparation. Click here: What college classes do you need to take to prepare for the MCAT? 5. Relax! While the new MCAT requires a lot of preparation, you should not forsake all your other activities to study. Try to keep exercising, maintain a social life and do things you enjoy. If you balance work with things which relax you, you will work more effectively overall. 6. Lastly, believe in yourself. The only person standing between you and success is yourself. Are you looking for MCAT prep tips? Here are 10 tips that will help you get a high MCAT score. 1. Start with an organized study space and the right prep attitude. Keep your study station neat and away from distractions. Also, maintain a positive attitude. When you are positive about learning, it is easy for you to relax and retain information amidst the mental, physical and emotional challenges that you will go through for months. 2. Make a study schedule and stick to it. An ideal study schedule is 3 to 6 hours a day for 3 to 6 months. What are the subjects that you like the least? Start with them. 3. Get a good new MCAT book and a bunch of videos. While old notes from your science classes will come handy, an MCAT book will help you focus only on what you need to study for the exam. Also, do supplement your book with MCAT videos. Visual tools such as videos will maximize your science review. Take notes and highlight important information with the use of colored pens. Then, review your notes daily. Reading your notes 24 hours after learning something will help you retain information better. No, we don't mean to day dream while studying! We mean studying a topic a few times over a long time span, a proven effective learning technique. You may use MCAT flashcards for this approach. Research at the Curtin University of Technology suggests that a study group on top of your MCAT prep course, will enhance your learning experience. This will prepare you for the MCAT CARS (MCAT Critical Analysis and Reasoning Skills) section. Ask yourself these questions: What is the main argument? What statements prove that argument? What points undermine the argument? 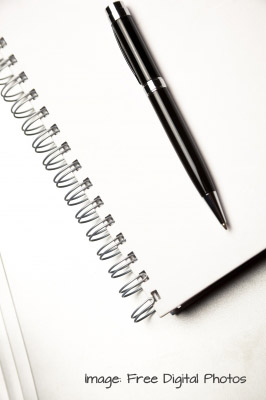 What is the writer’s agenda? The section will touch on ethics, philosophy, cultural studies, population health, social sciences and humanities; thus, read more about these topics. Practice with opinion articles found on The New Yorker, The New York Times or The Economist. Free resources abound and these can complement your MCAT book. For your MCAT science review, refer to MCAT Physics Equations Sheet, Organic Chemistry Mechanisms and MCAT Biochemistry Review Summary. There are also many free MCAT practice tests online. Do not over-test yourself, otherwise, your score will stagnate. Take notes after every MCAT practice test and review these notes before taking another test. Also, take the tests in an environment that is similar to that of the real MCAT. A good night’s sleep increases your brain’s capacity to retain information. Besides, lack of sleep today results to a struggle tomorrow. Continue to engage in physical activity, sports, hobbies and consider yoga for stress relief. Then, one month before the big day, already adjust your waking hours to the day of the exam. May you find these MCAT prep tips helpful. Good luck! Why are MCAT flashcards helpful? The reasons are varied. Flashcards promote space repetition learning. Research has shown that studying the same information at spaced intervals instead of pouring over one topic or material, improves memory retention. They require you to make a deliberate action of recalling information, which is a good memory booster compared to just relying solely on reading facts and figures in textbooks. MCAT flashcards strip down hundreds of concepts into essential facts. You can study on the go. Flashcards can be used as visual tools (for visual learners) and can be read aloud (for auditory learners). Gold Standard offers MCAT flashcards in two formats - as a deck of poker-sized cards or as a MCAT flashcards app. The latter provides another benefit -- being environment-friendly. Compatible with iPhone, iPad & iPod touch and optimized for iPhone 5, the Gold Standard MCAT Flashcards App covers all the important MCAT science concepts. 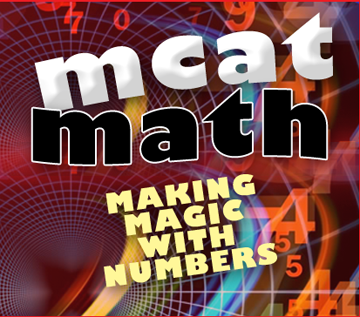 It has 445 questions that are divided into 3 categories - Basic, Most Tested and MCAT 45 (the most challenging). Your scores are saved so that you can keep track of your progress. It also has an option to mark questions for later review. It has 40 MCAT videos by Dr. Brett Ferdinand, an MCAT tutor who aced the exam himself and thus understands the MCAT preparation process well; and the primary author of The Gold Standard MCAT textbook, science videos and MCAT practice tests. If you have not invested on flashcards to reinforce your MCAT review yet, it is time to do so. Best of luck as you shuffle your way to MCAT success!